Cowper Griffith Architects were appointed to explore potential for additional facilities at the existing Thremhall Park site. The proposed development involves the creation of four new, stand-alone buildings within an existing complex. These new buildings provide additional office space, a café, gym and function room, together with additional car parking and landscaping. Buildings 1 & 2 have been designed to reinterpret the agricultural form of the adjacent barn buildings, and will be clad in black timber. Building three will be constructed in red brickwork, loosely mirroring the footprint of the existing converted Manor House. 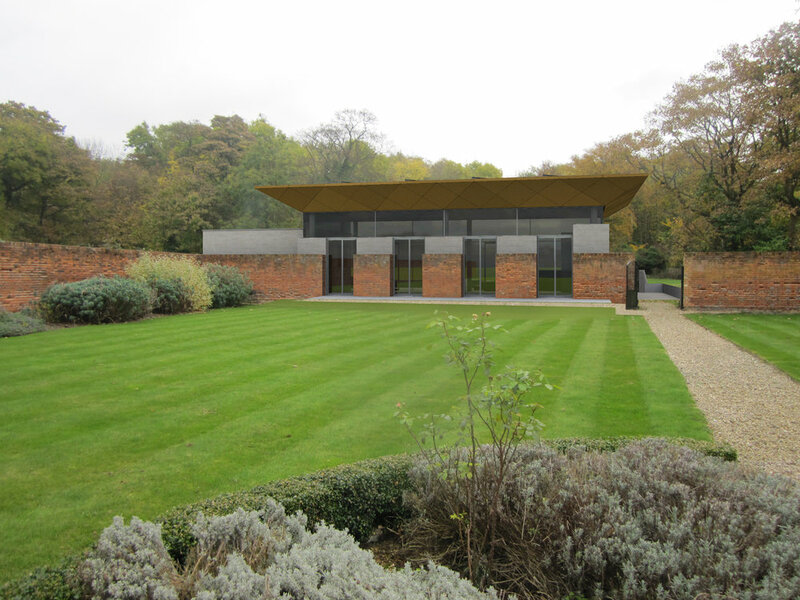 Building 4 will take the form of a contemporary glazed pavilion, integrated into an existing historic walled garden. This pavilion will create a multifunction space, suitable as a venue for events, conferences or lectures. Phase one of the project (construction of buildings 1 & 2) is due to start on site in Autumn 2018.